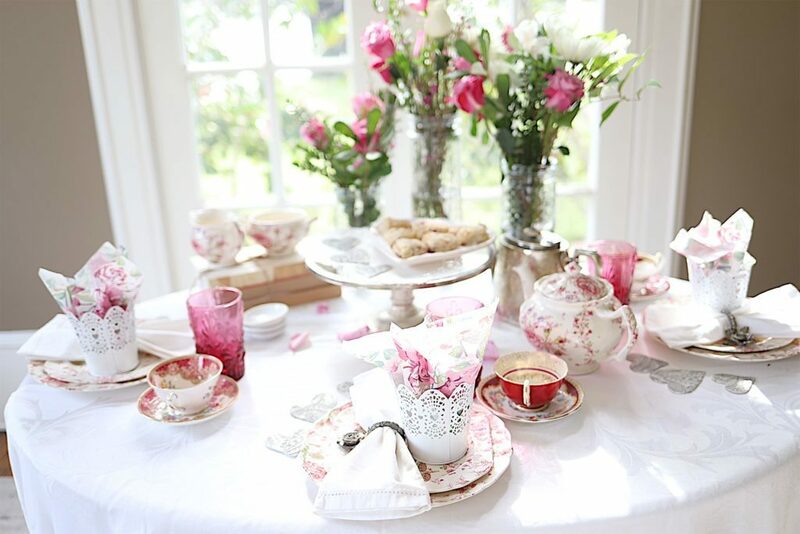 I set a table for a tea with my girlfriends and knew I wanted to serve some kind of scone. But the problem with scones is that they are often too dry. And too hard. According to most, you should bake scones until they’re barely done so the inside will be fully baked (not doughy), but still moist. I have a recipe for cranberry orange muffins that is delicious. So I decided to try some experimenting and this time I think I just got lucky. Scones are really known as being part of the British afternoon or ‘cream’ tea. American style scones are fairly sweet. English scones have a similar structure to our biscuits, both are crumbly, light and moist. Scones are fairly crumbly and the opposite of a croissant. The reason scones are crumbly is due to the prevention of what is referred to as a “gluten network”. Normally when you are making bread flour and water are mixed together to create gluten. When you make scones you coat the flour with butter which prevents the formation of gluten. Hence, you get more of a crumbly texture which makes scones so delicious. 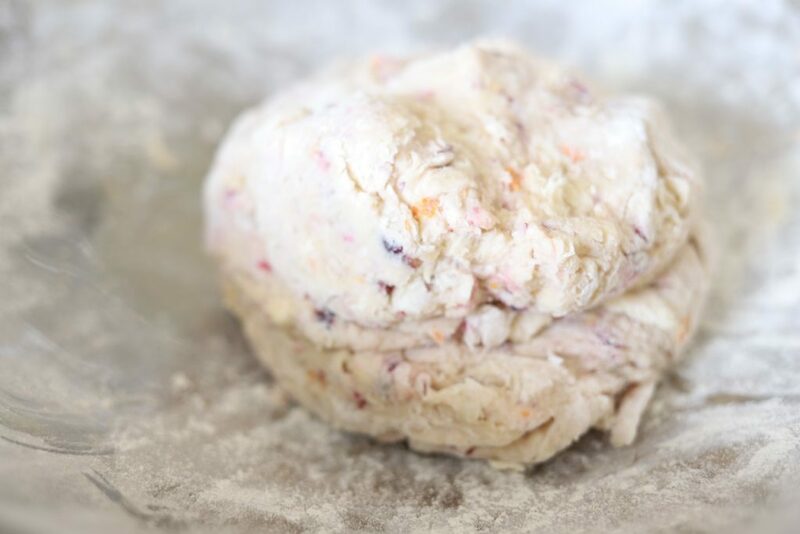 The main challenge for making scones is to achieve lightness and crumbliness. A scone should fall apart easily when you pull a piece off, but it shouldn’t crumble apart in your hands. The dough consistency for scones is sticky but not so sticky that you can’t roll it with a rolling pin. The thing I love about these scones is you want the dough to be about one inch thick which makes for a perfect “biscuit”. 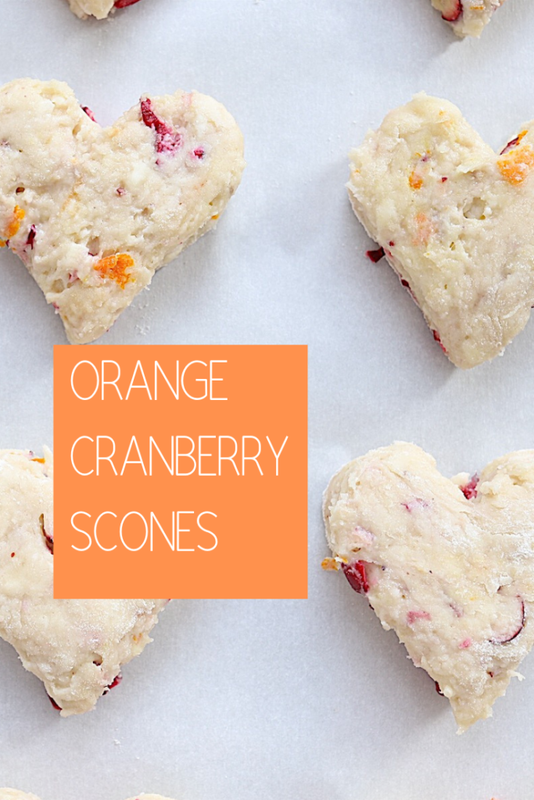 These Cranberry Orange scones are festive and simple to make. The fresh cranberries are tart and add a nice highlight of color. The scones are tender and sweet and will make your house smell amazing. Serve with jam, butter, or dunk them in your favorite tea or coffee. I included vanilla yogurt, vanilla extract, and egg in this recipe. I think it helped enhance the flavor. 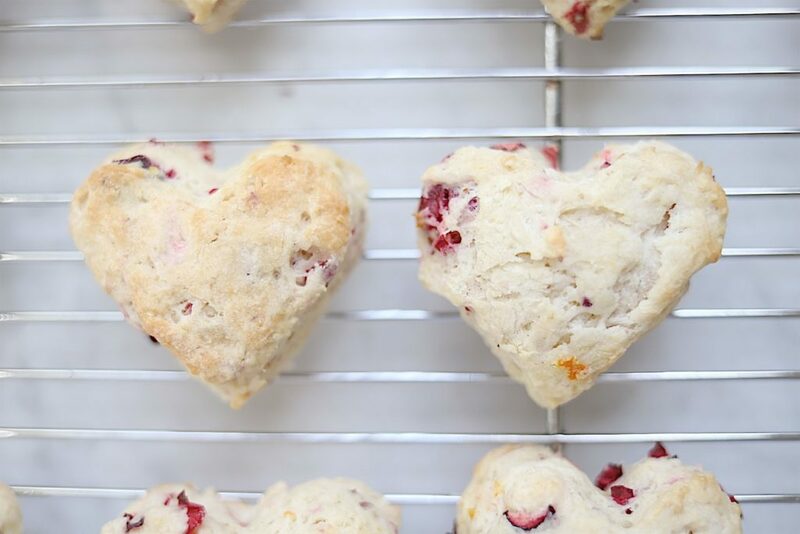 Although I made these scones for a Valentine’s Day tea, I think I would probably use my heart-shaped cookie cutter year round. I think they are that cute. When you roll the dough it should be almost one inch thick. I kept cutting and rolling the dough just to make sure I could get as many scones made as possible. Of course, I am neurotic about burning them so I start checking at least two minutes before the estimated cooking time to pull them out of the oven when they are golden brown. Aren’t these perfect? And trust me, they are scrumptious. Cranberry Orange Scones are a delicious addition to breakfast or brunch. The combination of sweet and tart is absolutely wonderful. In a large bowl whisk together flour, sugar, baking powder and salt. Add the cold butter to the bowl and cut in with a pastry blender until the pieces of butter until the flour mixture resembles coarse meal. 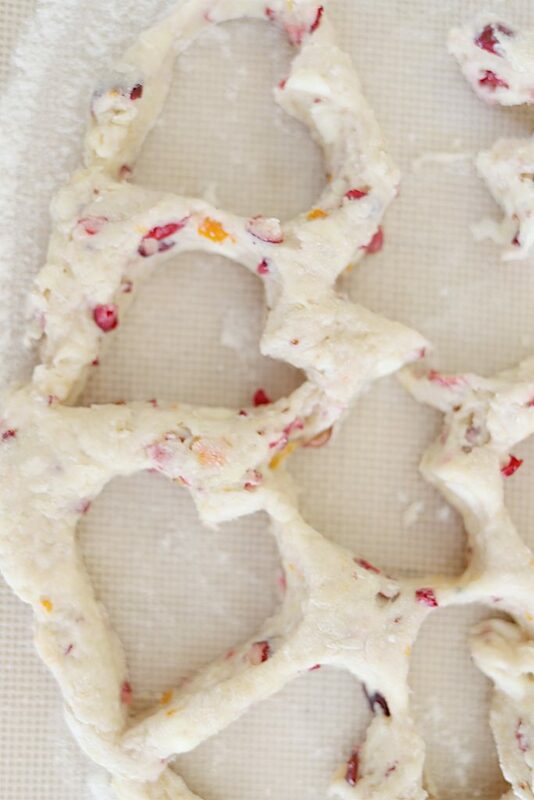 Chop the cranberries in a food processor and stir into flour mixture with cream, egg, vanilla, yogurt, orange juice and orange zest. Flour your hands and work the bough into a large ball. Gently roll with rolling pin until 1" thick. Cut with cookie cutter into desired shapes. Place on lined baking sheet and bake 15 - 18 minutes until golden. I served the scones on my heart shaped Rae Dunn plate. They disappeared so quickly. And the few we had leftover lasted for days in a sealed plastic container. Pin the image below to your Valentine decor and recipes on Pinterest (just click the Pin button in the top left corner). You can also follow along with me on Pinterest! They are sooo yummy looking. Will definitely try these ! 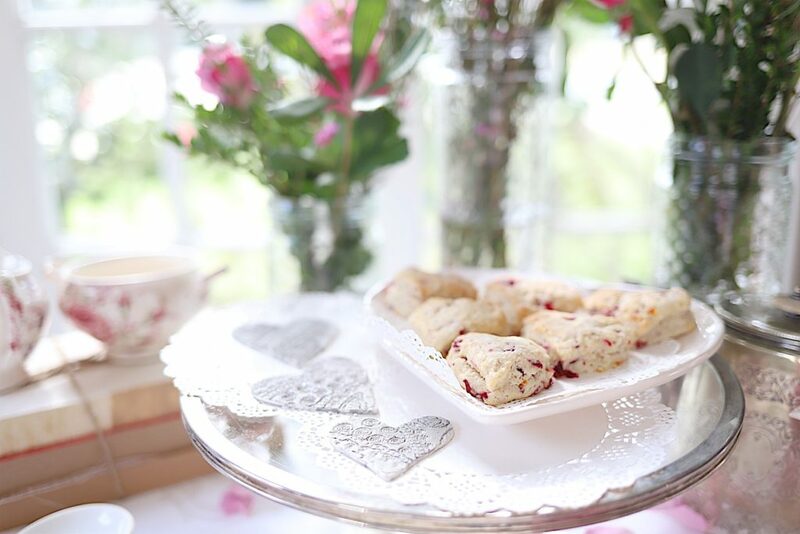 These look lovely!❤️ I bake a lot, however….I have never made scones for the reasons you mentioned. I am going to give this a try😍. It’s looks like your orange zest is larger pieces than my grater makes? How did you achieve this? I want them to come out looking and tasting just like yours! I used a Zester but it has pretty large holes. These look wonderful! 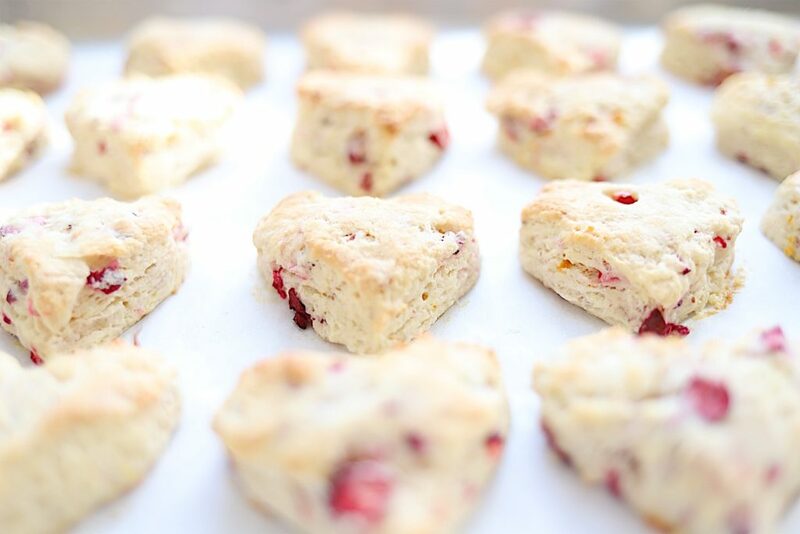 I love eating/baking scones, and one of my favorites is cranberry/orange. I will try your recipe soon! Thanks for sharing. I was so excited to try this….made it for the kid’s after school snack! However, the dough was SO wet, I could not do anything with it besides drop on the pan. I am wondering what I missed?! Maybe another cup of flour? My dough was super wet also. I used a scooper and plopped then on a pan and they spread out all over. My bad! Check my blog for the “revised” recipe. I am such an idiot! Need to get some ingredients to make these but they look great! 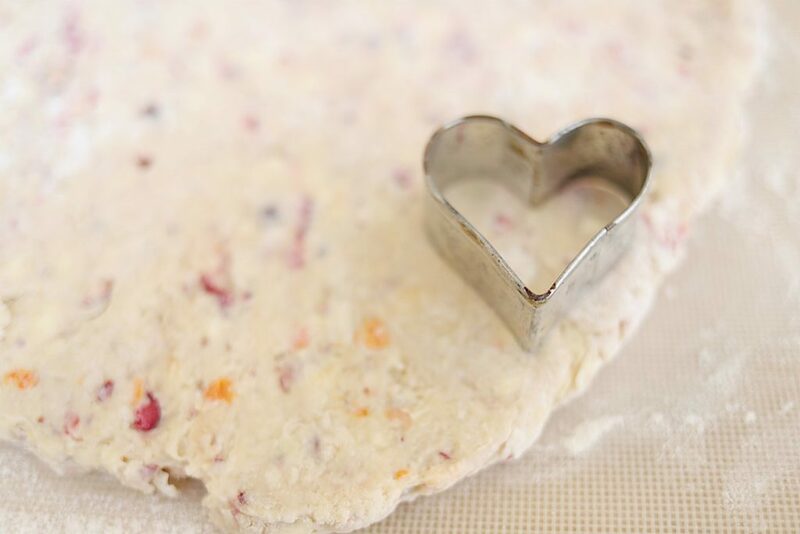 I love that you use your heart cookie cutters for scones. We do too!! 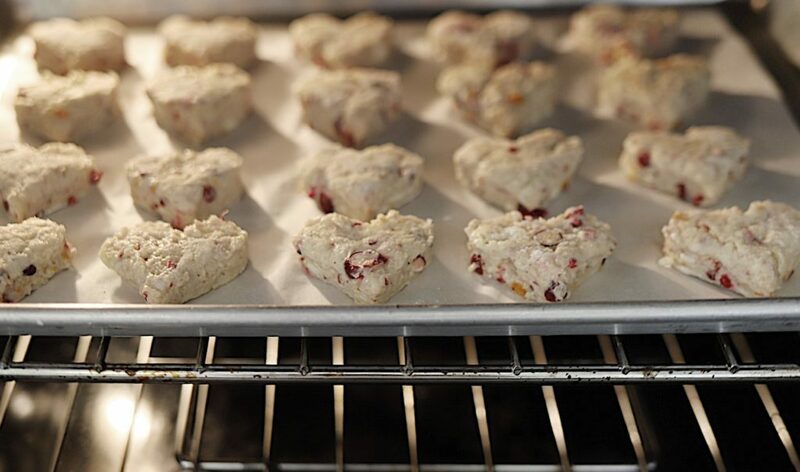 Since nothing says ” I Love you” more than a fresh baked treat! I agree Gwen. They are so fun to make! Can’t wait to try them, they sound delicious!!! Just wondering if I could make them without orange? I guess I should’ve specified, if I leave the orange juice out – can I just replace with more cream? I’m trying it too, with the current recipe. The dough is way too wet to work with…hope just adding flour will solve it..
Where can I find the revised recipe for the scones? I went to your blog with no luck. Made these and they are delicious. Had to improvise as I didn’t have cream. Just used milk and added more flour. Turned out perfect! Thanks for the recipe! I made the scones tonight. My zester is too fine so I’ll try my grater so the orange is seen along with the dried cranberries. The dough was wet so I was careful to add a bit of flour on top of the dough before rolling it. I put a piece of parchment paper on top and then rolled it. They are delicious and mine were done in 12 minutes. My oven seems to run a little too warm for scones. Will be making these again this week for a group of Bible study ladies. Thank you for a great recipe! I’d like to make these, but I want to be sure I have the revised recipe. Can you tell me how to know I have the right version? Is 2 cups of flour correct? Thank you in advance. These are so pretty and right up my alley. I just found your blog yesterday (thank you Boxwood Avenue!)! 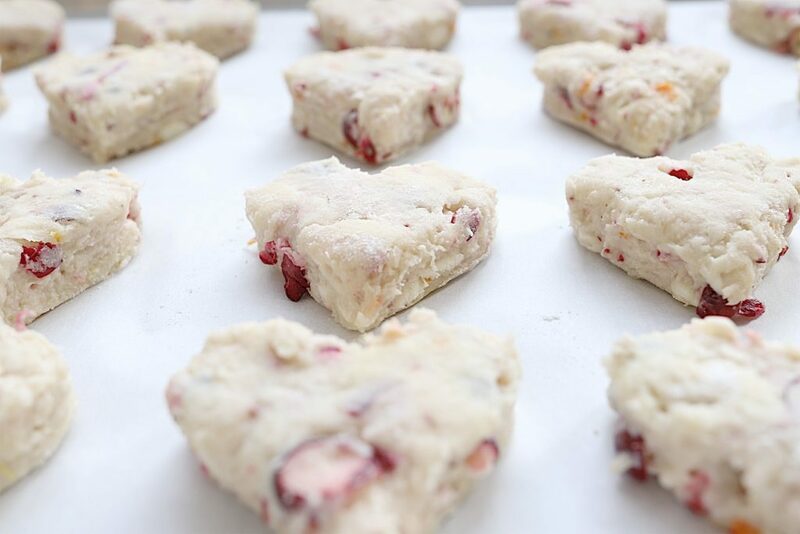 After perusing your site for awhile i found this Cranberry Orange Scone recipe and made them this morning. I’m having one right now with a cup of coffee and I just have one thing to say…..YUMMMMMM! Best scone recipe I have found to date! So glad to find you! I have made this recipe 3x since you posted it! Love them! I varied the recipe, using blueberries and another time I used chocolate chips. Family voted chocolate chip ones the best! Wow. That sounds delicious. I can’t wait to try it.